I’ve run races in most nearby towns, but a few still remain, and it’s nice to be able to travel just up the way a bit to knock one out. 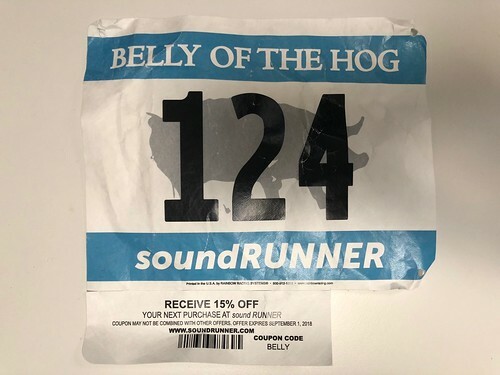 Oxford is one of them, and I was excited to run a race put on by Black Hog, the great brewery somewhat incongruously located in a business park in the middle of nowhere. It had been awhile since I’d been to the brewery, and they’d changed the layout, moved things around inside, and, if I’m recalling correctly, built a bathroom, which was a useful addition, especially on race day. The field was made up mostly by 169ers, it seemed, and apparently this was actually the third date the race had had. The first was postponed due to weather, and the second cancelled because it wasn’t approved by the town, or so I heard. We weren’t able to run the race on the trail route that had been planned, thanks to the trees that were still down from the hurricane earlier this year. It stayed dry during the race, and we all gathered at the brewery for a complimentary pint afterward, which was a nice treat.